I’ve been dying to check out Lagunitas Brewing Company for the longest time. Last year for Christmas, I bought my boyfriend So You Want to Start a Brewery?, written by the founder of Lagunitas. They also sponsored Social Media Beast’s sister company Concierge Preferred at their annual trade show earlier in the year. I got a chance to hear the Marketing Manager (the founder’s sister!) speak about how much she loves her company, and more importantly, details regarding the newly opened taproom in Chicago. So checking out Lagunitas Brewing Company has been on my radar for quite some time now. An opportunity presented itself to take Reggie’s Rock Bus (YES), so we could go, drink as much as we pleased, and make it back home (or close enough) afterwards. First of all, if you’ve never been on a Reggie’s Rock Bus, I highly recommend it. The bus itself is spray painted with trippy Chicago icons both inside and out. The driver is super friendly, and doesn’t care how rowdy you get on the bus. He’ll get you there safe, even though it seems like the bus could break down at any time. Oh! And the seats are super comfy, like little couches. Anyways, we rolled up to Lagunitas Brewing Company early afternoon on a Sunday. It wasn’t too packed – seems like a good time and day of the week to check it out. There is parking if you want to drive, but I really need to stress the fact that if you go that route, bring a DD. Lagunitas Beer tends to be super thick and have a high ABV – don’t think you can just beat it by sheer force of will. The walk up inside was intense. It was dark, with neon lights flashing down a long hallway. After getting wristbands, we were lead into a basement room to relax before our tour. In the basement, they had a bunch of different furniture sets. The pieces matched each other, but the sets didn’t have a consistent theme. It was like going to a resale store, but somehow it all fit together nicely. 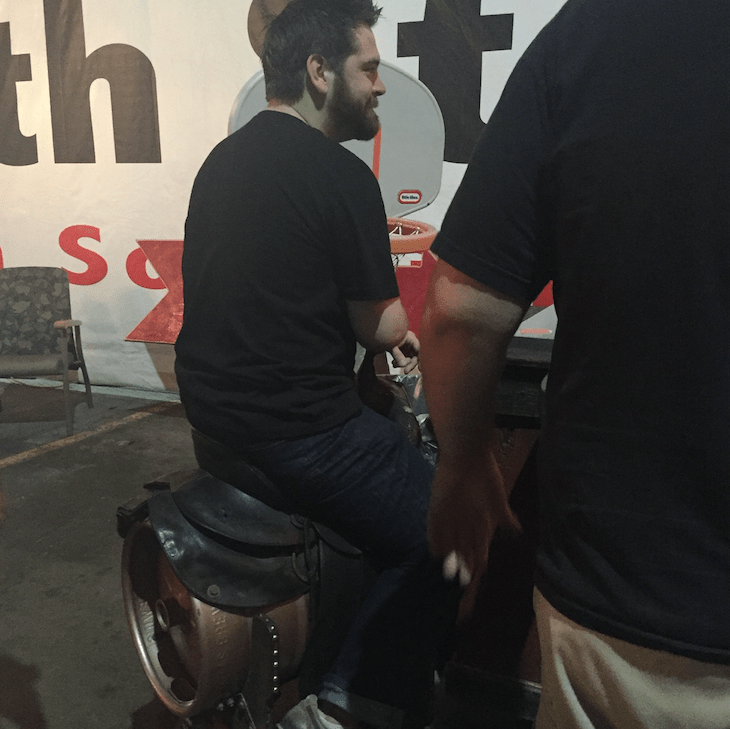 They also had saddle seats you could sit on – too cool. The guys behind the bar at Lagunitas were so nice and fun. You could tell they genuinely loved their jobs, loved Lagunitas Beer and wanted us to have a good time. We were offered all the free samples we could drink – complete with biodegradable sample cups. How environmentally responsible! One of my favorite tasters was their Brown Sugga’ Ale. Our bartender busted out bottles that ranged from 2006-2014. He let us taste two samples side by side to demonstrate a “mistake” batch they once made – and loved. Definitely a fun fact I would’ve never known if I hadn’t made my way to the Brewery. The tour itself was pretty short – I assume they think people are there more for the beer-drinking experience than anything. It was awe-inspiring though, when seeing all the large tanks holding beer throughout different parts of the process, then learning they’re going to double the total! 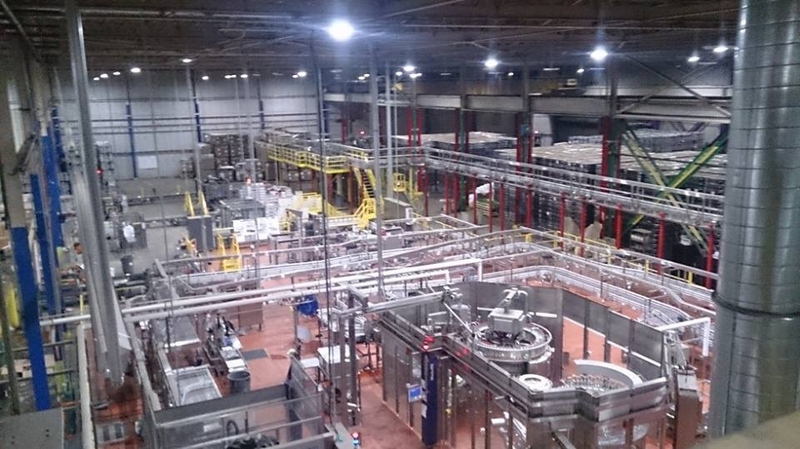 Lagunitas is the largest craft brewery in the United States. It was like nothing I’ve ever seen. I’ve been on a lot of brewery tours before – Guinness, Sam Adams, and Revolution, to name a few. I had previously been comparing Lagunitas Brewing Company to Revolution, but that was not giving them nearly enough credit – they’re approaching mammoth status (though still don’t occupy blocks of city space like the Guinness Brewery). Another fun fact – there was a scene from the Dark Knight filmed in the Lagunitas Brewing Company! After the tour, we funneled into the Taproom. There was an in-house magician who was too good. I tried to figure out all of his tricks and couldn’t guess any of them – needless to say, he earned a nice tip from me. The food was good, though I’ll admit I wasn’t really focusing on it. I was sad there were no fries – the perfect accompaniment to beer. I seem to keep running into this problem at different restaurants – apparently deep friers are annoying to have if you don’t absolutely need them. 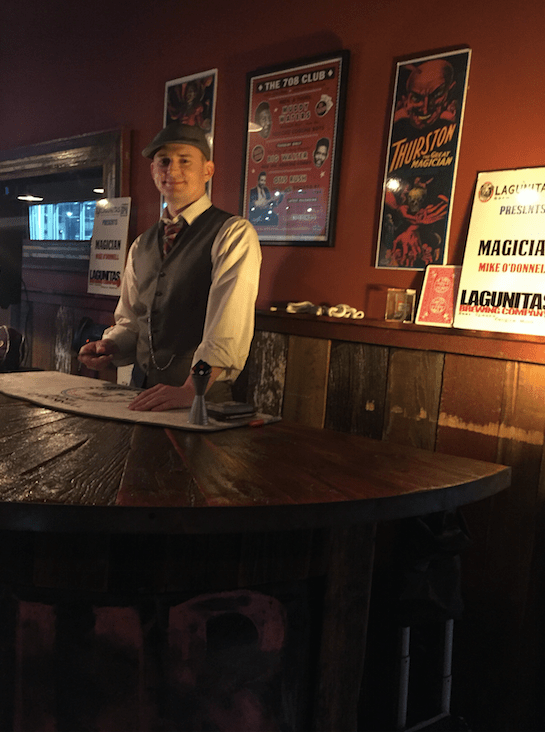 At the end of the day, there’s no way you can have a bad time at Lagunitas Brewing Company. The tour is FREE, the beer is FREE, and the food is perfectly complimentary (minus the lack of fries). All you need to do is figure out the best way to get there! 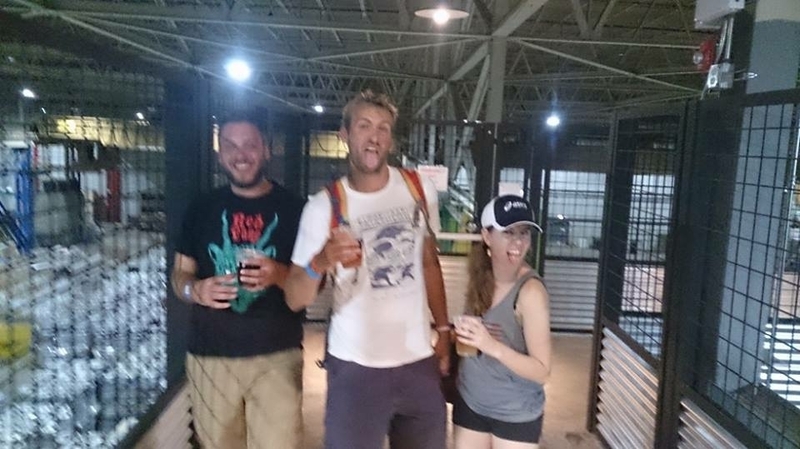 Have you been on any brewery tours lately? Share in the comments! Big thanks to Brooke for her photo contributions!